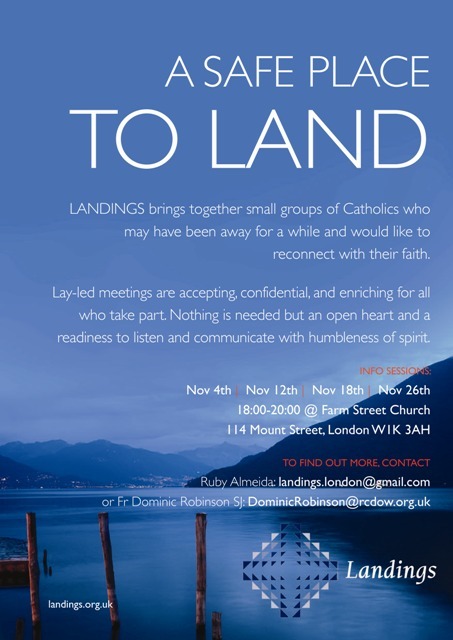 As the new hub for Landings UK, Farm Street parish in Mayfair, London, is hosting an introductory session to Landings on 4 separate November evenings. Anyone who is thinking about returning to the Catholic Church after a time away would be most welcome. Farm Street then hope to run the Landings process itself in early 2016. 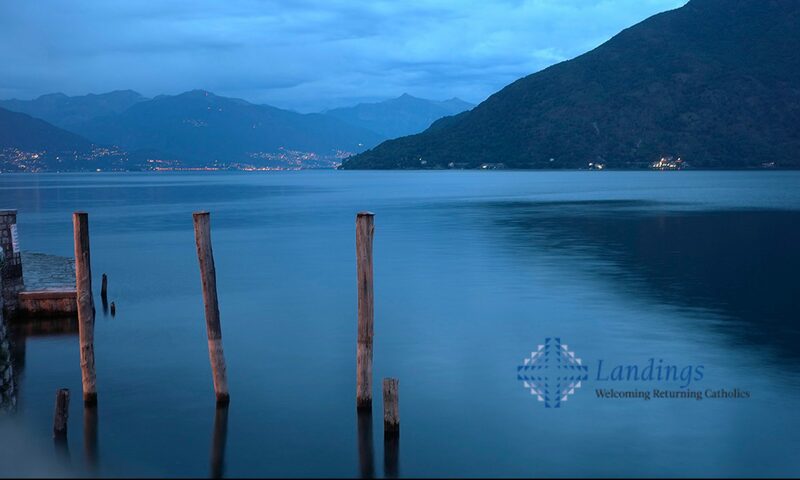 Landings: ­ Are you looking to reconnect? 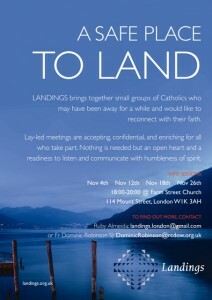 If you have been thinking about becoming more active in the Catholic Church after a time away, we invite you to join us in LANDINGS, an eight­ week experience that offers “a safe place to land,” a place where your voice will be heard and a place for listening, for asking questions, and / or reconnecting with your faith as an adult. To learn more, come to one of our information sessions: Nov 4, Nov 12, Nov 18, Nov 26 18:00­-20:00 at Farm Street Church, 114 Mount Street, London W1K 3AH or contact Ruby Almeida or Fr. Dominic Robinson SJ.